Over the next week, we will continue to add to our list of common IT Issues, and would love to have some suggestions from you! The consequences of an application error can range from a minor inconvenience to a catastrophic loss of income. Even if you never experience an application crash, problems can still occur behind the scenes, often never appearing for a regular user. Ensuring you install the latest security updates can decrease your chances of suffering an error, however, we are also on hand to help detect errors and deal with them before they become a serious issue. There are many reasons why a server crashes, but the results are often damaging to the businesses you run domains for. From electrical interruption or failure in the network equipment to ageing hardware or overheating, whatever the reason for the crash, it is vitally important you get your server up and running as soon as possible. This issue is often unpredictable, which is why we offer contract-free emergency support charged by the hour. There is no obligation to continue working with us afterwards, but many clients are so impressed by our dedication, swiftness, and thoroughness, that they retain our services with a support contract. Windows constantly receive updates which you should act as and when they are required. These updates are not released to inconvenience you; they are there to protect you and your business. But problems can occur during the install. Over the years we have helped to resolve the download: getting stuck, refusing to install, getting caught in a restart loop, and more. Have you got some IT Issues you deal with more regularly than others? Maybe you’ve got an issue that constantly baffles you and requires an expert to come in and fix? 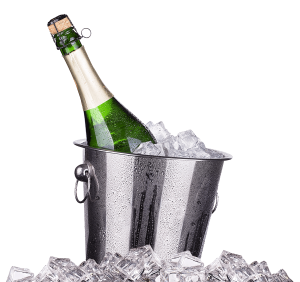 Head over to our LinkedIn page and comment on the post for a chance to win a bottle of bubbly!